Our primary school includes Transitional Kindergarten (must be 5 years old by January 1st), Kindergarten (must be 5 years old by September 1), 1st Grade (must be 6 years old by September 1), and 2nd Grade. 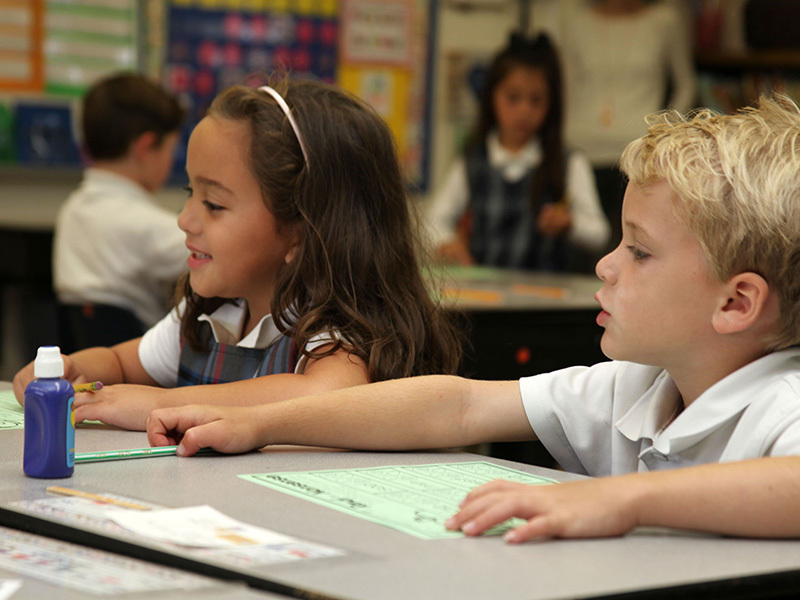 St. John the Evangelist has one of the highest performing early literacy programs in the Sacramento Diocese. Our teachers work collaboratively to build a solid foundation in reading, phonics, mathematics, and executive functioning skills, fostering great learning habits for years to come. Students in our primary school study core subjects as well as PE, art, music, and Spanish. Our Transitional Kindergarten is a half-day program (8:15-12:00), and our Kindergarten is a full-day program (8:15-3:00).